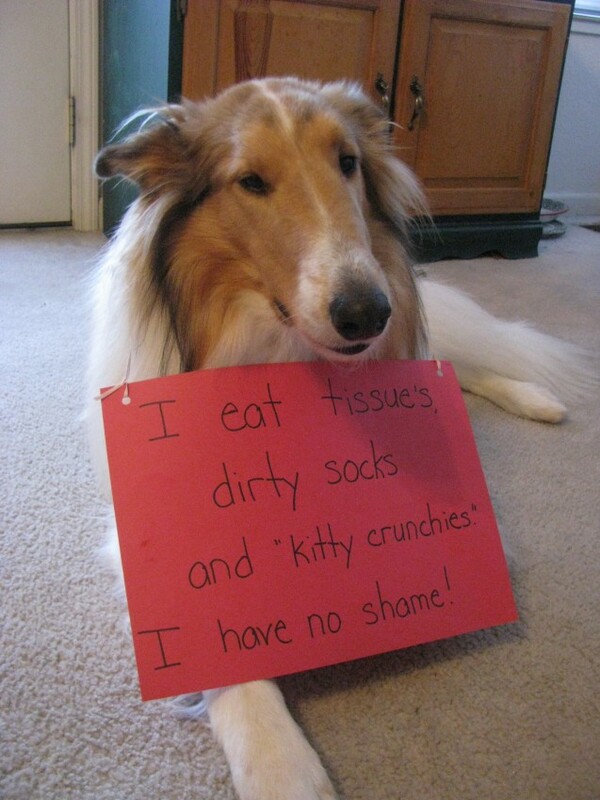 Duncan loves to steal slippers and socks right off your feet and eat “kitty crunchies” out of the cat box. Posted June 28th, 2014 . Dogs are so funny….what we think is gross they see as a treat! Duncan is gorgeous with or without shame. I hope that handsome Duncan doesn’t eat too many socks and mess up his digestive tract! He’s too good-lookin’ to have to have surgery!